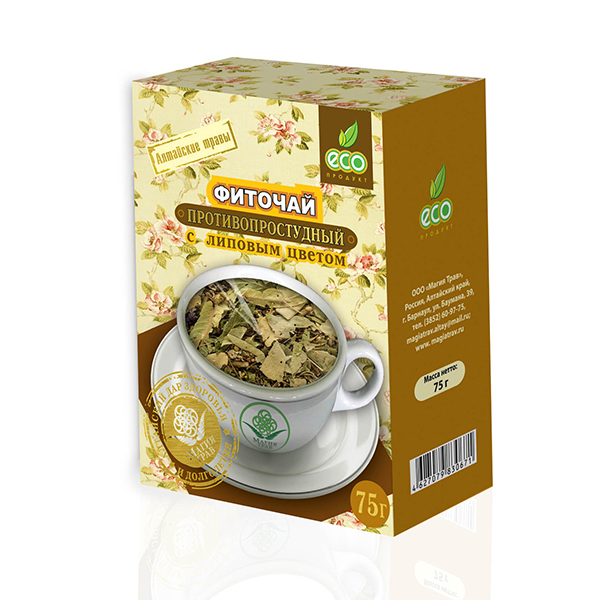 The composition of the herbal tea includes linden flowers, rose hip, coltsfoot so it is recommended as a general tonic, multivitamin, diaphoretic herbal remedy. It helps the body cope with the first symptoms of colds, activates its defenses and immune system. 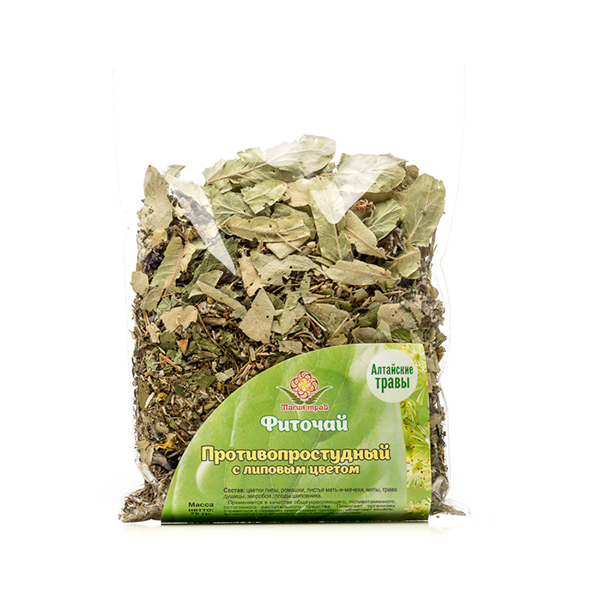 Ingredients: leaves of coltsfoot, mint, oregano, St. John's wort, linden flowers, rose hip. This tea helped to treat cold.